What is a prenup and why do people sign them? For many couples, a prenuptial agreement, commonly known as a prenup, is something of a safety net. It is a written contract that sets out each person’s financial standing and the way they have decided their finances would be split in the event of a relationship breakdown. The correct term for a prenup is a binding financial agreement. Despite the familiar “prenuptial” name, financial agreements do not actually have to be signed prior to the wedding. They can be signed by couples intending to be married, couples already married, de facto couples moving in together and de facto couples who have already been in a relationship for a long time. Couples do not make prenups because they expect to divorce; rather, a prenuptial agreement provides a certain level of assurance for the “just in case” scenario. What Details Can Be Included In A Prenup? 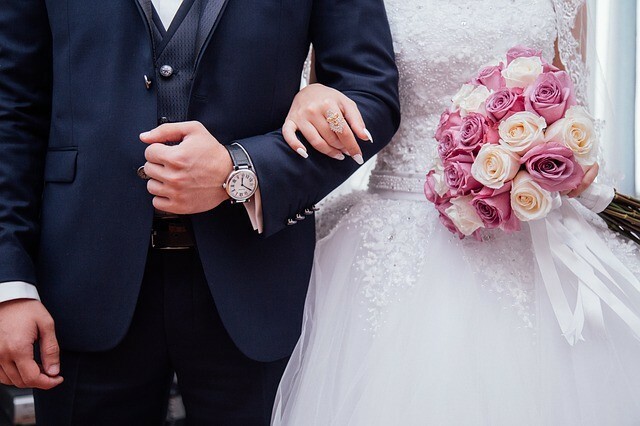 A prenuptial agreement starts with a disclosure of the financial resources, assets and liabilities that each party is bringing to the marriage. The prenup then details how these assets and debts would be divided in the event of separation or divorce. This hypothetical division of assets can include several different types of assets, such as cash, property, superannuation savings, inheritances, monetary gifts, pension entitlements and businesses. A prenup, therefore, protects the assets that each person wants to keep. The agreement can also outline any obligations one or both parties might have to resolve debts and liabilities, both personal ones and those of the relationship. Couples making a prenup may also choose to include provisions for spousal maintenance. This is the money that one spouse pays to the other after their relationship has ended. When all of this is agreed to and signed in a valid financial agreement, the prenup will prevent the court from making orders regarding the division of property if the two people separate or divorce. However, one of the essential components of a prenup is the way it addresses all possible outcomes. Couples should include options relating to possible future events in their prenuptial agreement. The most obvious of these possible future outcomes is having children. Having children in the relationship is considered a “material change” to the couple’s finances and poses a risk to the validity of the prenup if it has not already been addressed. Mentioning children in a prenup, even by just mentioning the possibility of having children, improves the likelihood that the agreement will remain valid in the event of separation or divorce. What Makes a Prenuptial Agreement Valid And Binding? It’s all well and good to write out and sign a prenup, but if it is not legally valid then it becomes a waste of time and the court has the power to make different financial orders. There are strict legal guidelines relating to prenups. The process of getting a prenup begins with advice from a lawyer. Each party must obtain independent legal advice from a lawyer practising in the Australian jurisdiction. The prenuptial agreement must be in writing. It must be signed voluntarily by both parties, without coercion or duress. An example of coercion or duress would be one person in the relationship telling the other that they will not marry them if they do not sign the prenup. If someone signs the prenup on the day of the wedding, this is also considered as under duress. The prenup must contain a full disclosure, including all assets and their full value, of each party’s financial position. It must not be made on a fraudulent basis. If any of these requirements are not fulfilled, the court has the authority to overturn the financial agreement. As mentioned in the previous section, the court has the authority to overturn a prenuptial agreement if it made no provisions for children of the relationship. Depending on the circumstances, the court may choose to enforce only part of the financial agreement. What Sort Of Legal Advice Will You Receive? Making an appointment with a lawyer is one of the legal requirements of drafting and signing a prenup. Each party must obtain legal advice from a different lawyer. The lawyers will advise their respective clients of the prenuptial agreement’s effect on their rights, along with the advantages and disadvantages that signing the prenup will have for each party. Furthermore, legal advice includes being told exactly how necessary the agreement is for that person and whether the proposed division of property detailed in the prenup is just and equitable for them. In order to receive legal advice tailored to their situation from the very beginning, each party should prepare their basic financial and personal information for the lawyer they are seeing. Financial agreements for married couples and financial agreements for de facto couples are covered separately in the Family Law Act 1975. Sections 90B to 90KA set out the legislation for married couples and financial agreements. There are different sections about agreements made before and during a marriage, as well as after divorce orders. The legislation provides the rules for setting aside financial agreements, the elements that make them legally binding and enforceable and even what happens if one party to the financial agreement dies. If a couple made a financial agreement and then one of the parties dies when the agreement is still in effect, the agreement continues to operate. It is now binding on the legal personal representative of that person’s estate. Sections 90UB to 90UN relate to financial agreements and de facto couples. These sections are very similar to those relating to married couples. Legislation regarding financial agreements made after the breakdown of the de facto relationship is included instead of after divorce. The Act is very specific, for example in relation to the mention of children in prenuptial and financial agreements. Sections 90E and 90UH provide the information for married and de facto couples respectively about child support and spousal maintenance. Mentions of these in prenups are only legally valid if the person to be supported (the spouse or child) is named and the amount provided for them is specified. The following two cases show the very strict legal intricacies of making a prenuptial or financial agreement. In this case from Melbourne in August 2011, the husband, Mr Sullivan, sought a declaration from the court that the financial agreement signed between him and his former wife, Ms Sullivan, was valid and enforceable. He sought a rectification to change an error in the document. The signed document stated that it was “entered into under s90B” of the Family Law Act 1975. This section pertains to financial agreements signed before marriage. However, the husband had signed the agreement after the couple’s wedding day. The husband wished this passage to be changed to “entered into under s90C,” which is the section for financial agreements made during a marriage. The wife, on the other hand, opposed the orders her former husband sought. She stated that she had been put under undue pressure to sign the agreement, which, as she detailed in her affidavit, had been presented to her ten days before the parties’ wedding. According to the wife, the husband insisted that she sign the agreement, despite the fact that one of the solicitors she went to advised her against it, and threatened to cancel the wedding if she did not. The wife signed the agreement on the 11th of April 2003. The couple were married on the 13th of April and the husband signed the agreement three days later, on the 16th of April. The judge hearing this case in 2011 ordered that the financial agreement is unenforceable as it is not a “financial agreement” under the definitions in s90B or s90C. The agreement is not binding under s90G of the Act. In a similar case from Sydney in 2015, the court ordered for the financial agreement to be set aside. The wife had signed the agreement eight days before the birth of her and the husband’s first child, after conferring with a solicitor for 15 minutes. She and the husband signed the agreement in October 2003. The wife stated that she did not receive the requisite legal advice, that the husband had engaged in unconscionable conduct by exercising undue influence on her and that a material change in circumstances relating to the couple’s two children has made the agreement inequitable. The judge dismissed the husband’s application and declared that the financial agreement was not legally binding. The wife now is able to apply for property orders.